Students across Italy may have had reasons for panicking on Tuesday after Italian Wikipedia blocked readers from accessing content on its site in protest to a new EU online copyright law due to be voted on later this week. Since Tuesday morning, Italian users attempting to access Italian-language articles on the popular online encyclopedia have been instead greeted by a notice on the upcoming vote, which critics claim could spell the end of memes, remix videos, and charge online platforms a tax for linking to news. If the proposal were approved, it could become impossible to share a newspaper article on social networks or find it via a search engine," Wikipedia's Italian editors said. "Wikipedia itself could be forced to shut down." While other language versions of the site are still operational – a sigh of relief for bilingual Italian students – the English version of the site does contain a banner urging EU residents to contact their EU Parliament representatives, or MEPs, before Thursday's vote and ask them to vote against the reforms. 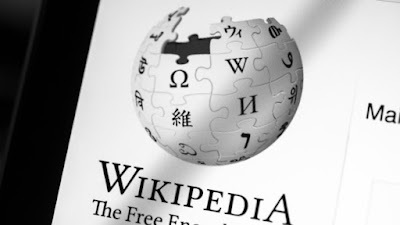 While a draft document of the EU directive on copyright in the digital single market gives a specific exemption for "non-for-profit online encyclopedias," Wikipedia still sees the prospective law as "a serious threat to our mission," with articles 11 and 13 of the directive receiving particular criticism. Article 11, which has been labelled a "link tax" by critics, will require online platforms such as Google of Facebook to pay publishers a fee if they link to their news content, as part of efforts to drive traffic to the home pages of news sites. Opponents to article 11's inclusion see it as damaging to small startups in favour of larger publishers, while a failure in the article to define what a link is has been flagged for potential abuse by government's looking to curb free speech. Article 13 meanwhile, has been more contentious among online users, which requires websites to enforce copyright, even on content uploaded by users. Issues raised in relation to article 13 include the impossibility of human censors on sites like Facebook to trawl through the mass of content generated by users, instead having to rely on expensive automated copyright checking systems. Already in place on sites like Youtube, the software has already come into criticism for being inaccurate after several copyright claims made against users for uploading original videos turned out to be inaccurate. Dubbing the software as an "upload filter" and "censorship machine," digital rights advocates Open Rights Group warned the passing of article 13 would "change the way that the Internet works, from free and creative sharing, to one where anything can be instantly removed, by computers." It warned that if big media organizations were to be the main benefactors from the law, it would "exacerbate existing power asymmetries in media markets" already seen in some EU member states, and would do little to actually fight the spread of "fake news." However, those defending the law have said that the "proposals to fight fake news will help safeguard our democratic society from disinformation & mistrust." Alex Voss, a German MEP who was behind the draft legislation, defended it by saying there is "at the moment, an extreme imbalance in the whole copyright system." Calling out the "false rumours" spread about the legislation, Voss said in a statement by the European People's Party (EPP), a conservative grouping of MEPS : "These platforms make a considerable profit on the works uploaded by its users, so they can't simply hide behind the argument that it is the users who are uploading, while the platform is making money from it." "But don't be mistaken: platforms such as universities, scientific databases and online encyclopedias, which do not deal with copyright content as their primary purpose, will be exempt from the new rules", he added.